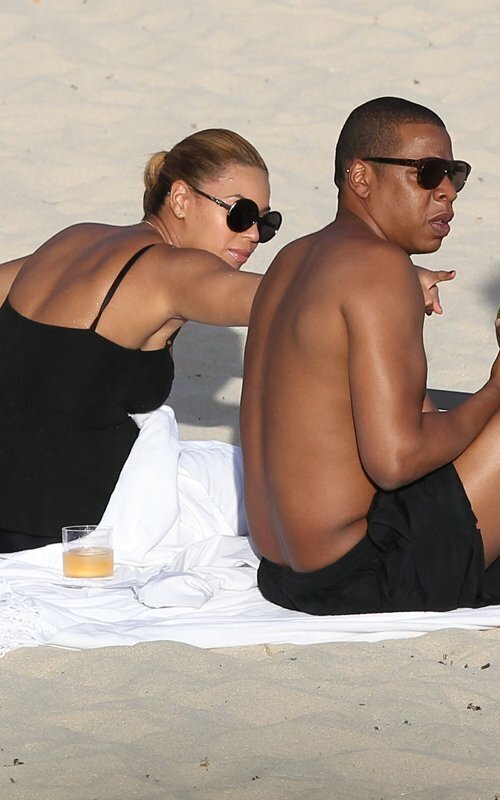 Hov & Bey were caught lounging on the beach in St. Barts earlier today. Seems like Bey's post-Blue Ivy body is still in the works as she sported a black one piece. We all know Bey doesn't do one-pieces! lol. More pics after the jump.